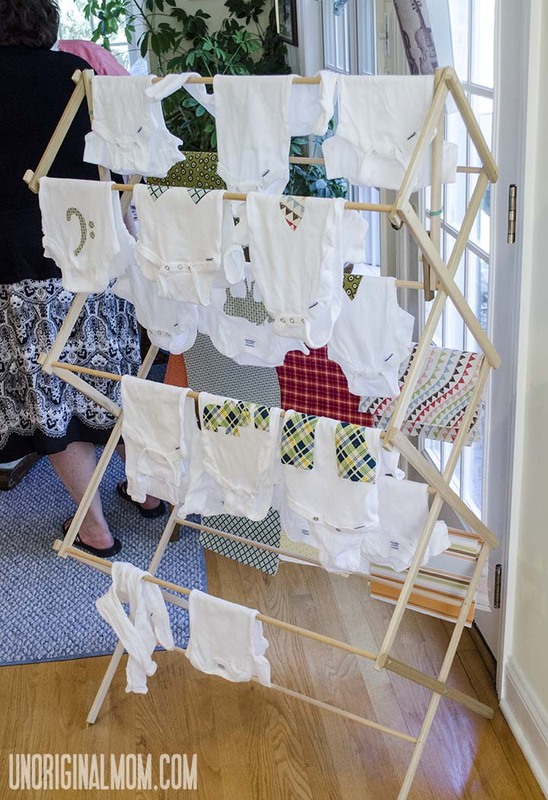 I recently attended (and helped a little bit with) a good friend’s baby shower, planned by an extraordinarily talented family friend of ours, Lisa Hackman. 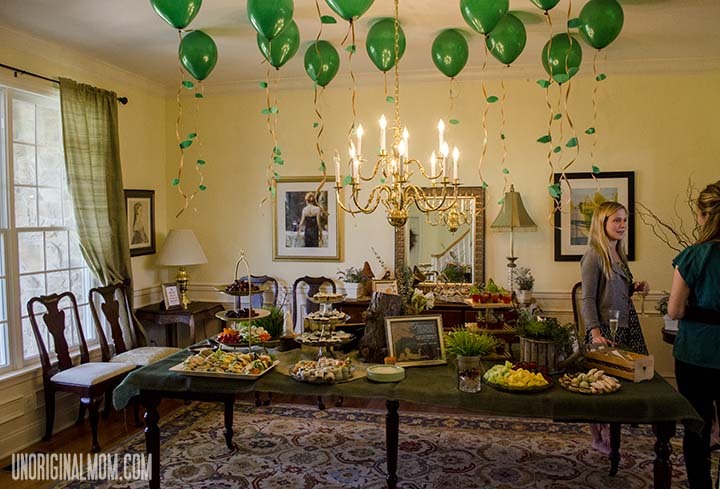 Lisa has an incredible gift for event decor and planning – she throws the most beautiful parties, showers, and weddings I have ever seen! She has such an eye for detail and makes sure that everything – down to the drink stirrers – is perfect! I asked her if I could showcase this baby shower, because it was just too beautiful not to share with you! 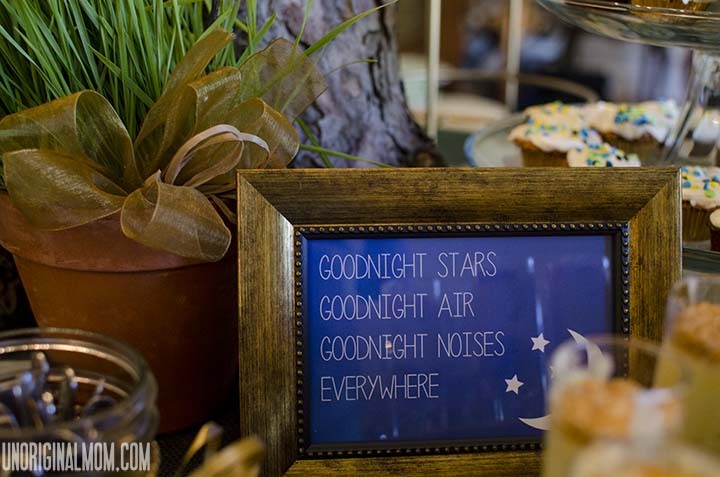 Feast your eyes on this beautiful, woodsy, children’s book themed baby shower! Instead of paying for helium to fill the balloons, they were taped to the ceiling. The dangling strings got tissue paper leaves to create a forest effect! 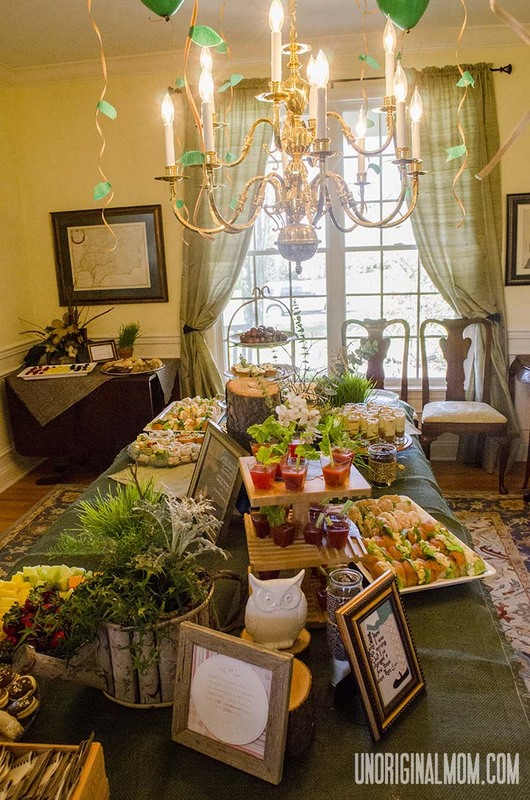 Lots of delicious finger foods, and earthy flower arrangements added much to the decor. 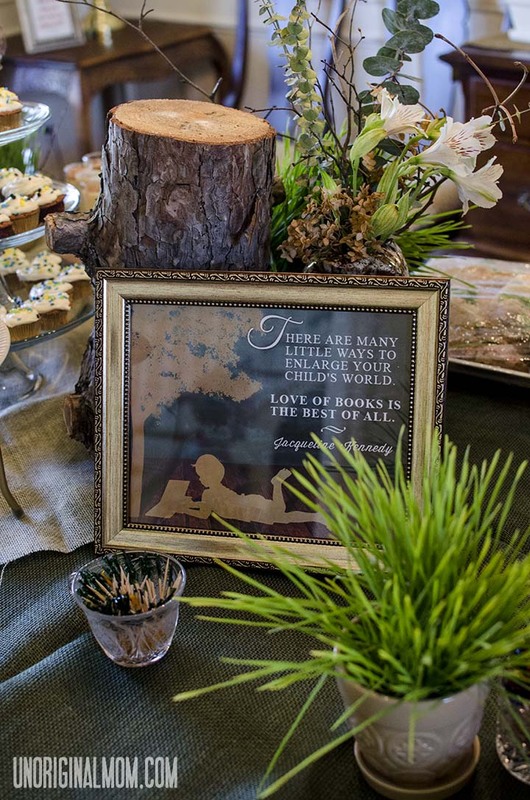 My contribution to the shower was creating and/or finding children’s book quotes, printing them, and putting them in frames to place around the tables. 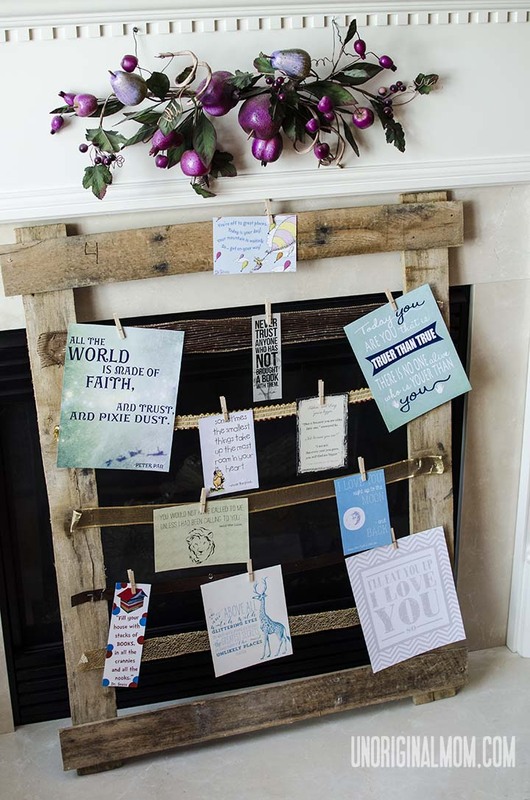 Book quotes were also hung on this rustic frame to be displayed. 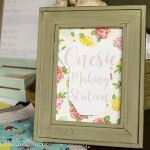 There was a onesie-making station set up…only instead of using the difficult and annoying bubble paint, there was iron-on fabric with stencils and fabric scissors, along with an iron and ironing board nearby for guests to complete their projects. And, of course, some sweets! It was such a beautiful shower, don’t you think? Like what you see? 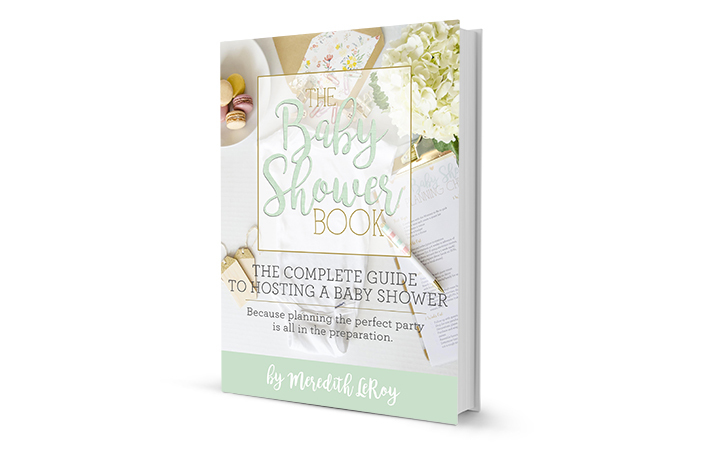 Or planning a baby shower for someone? 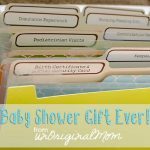 Check out the free printable children’s book quotes I designed for the shower, along with a fun children’s book themed baby shower game and free printable bookmark favor! 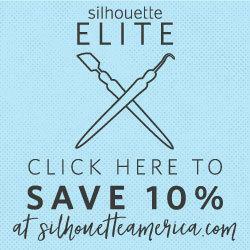 ← My First Silhouette Project! This is such a beautiful party! I loved the framed quotes you made. Thank you for sharing! I’m visiting from Mop It Up Monday. Have a terrific week! What an awesome theme! I love all the little touches you added! Thanks for linking it up at Monday Funday! taped to the ceiling! genius! I love it all!!! This is beautiful. 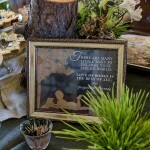 The rustic frame was a nice touch. Hi Meredith! 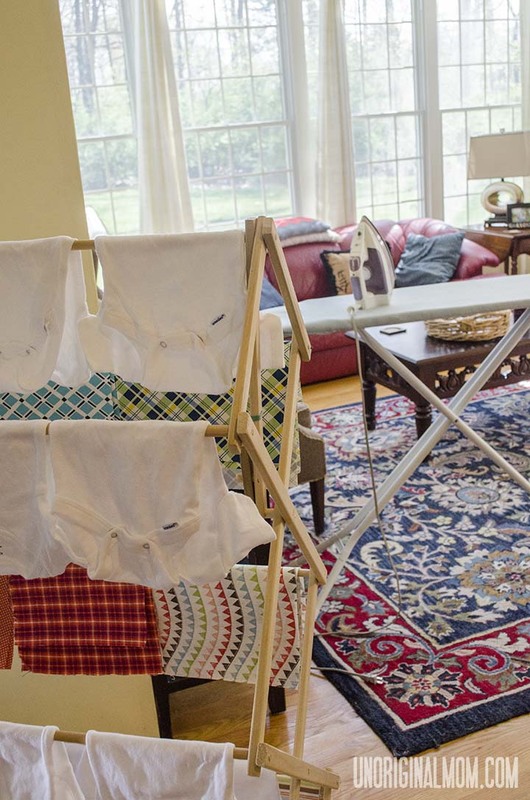 This is my first time on your blog and my first thought was that your title “Unoriginal Mom” is selling yourself short! The quote designs are absolutely lovely! Besides, there can be a lot of creativity involved in trying out other craft ideas (I do the same on my blog too!). And tell your friend that I love the woodland story book theme. Gorgeous! Aw, thanks Sara! Through this process I am discovering more creativity in myself than I ever thought was in there :-) Thanks for stopping by! How sweet!! 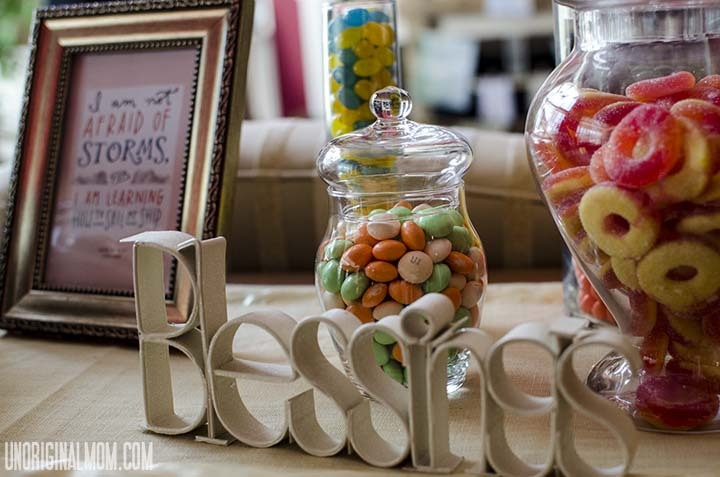 =) Thanks for linking up at the Pinterest Power Party this week! Enjoy your weekend! 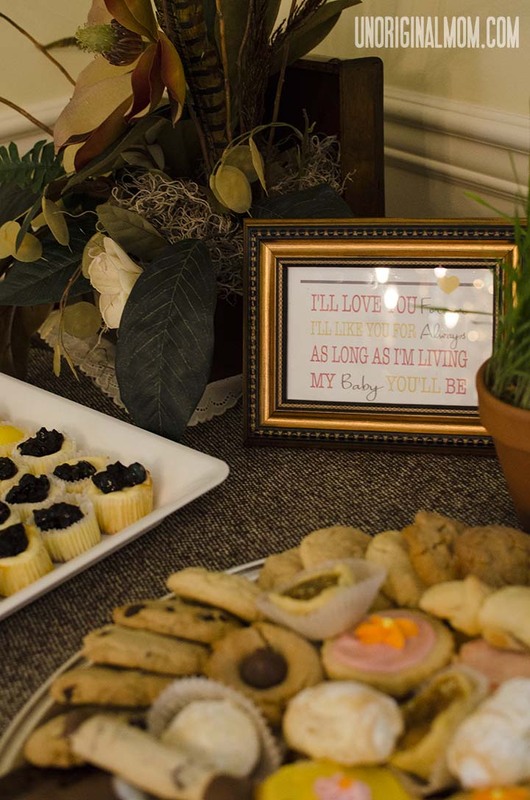 I really really love this baby shower! It’s so precious and the book theme is amazing!!! 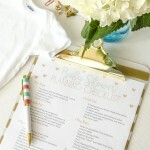 I am co-hosting Diana’s Pin Me party this week and would love for you to link up at Party In Polka Dots! It is a Monday party and is live right now!